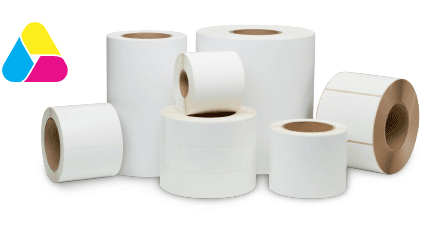 We've created this label store to provide the highest-quality blank roll label stock to our customers. Here you'll find thousands of rectangular die cut label options, as well as circular shapes and continuous (un-cut) rolls. Everything we offer is fully inkjet-compatible and ready for your label printer. Whether you own an Afinia Label, Primera, Epson, Quicklabel® (Kiaro!®), or any other brand of inkjet label printer, we are your premier source for label material. If you have any questions or need a custom label shape or size - please contact us. We're ready and willing to help ensure your label stock performs spectacularly!